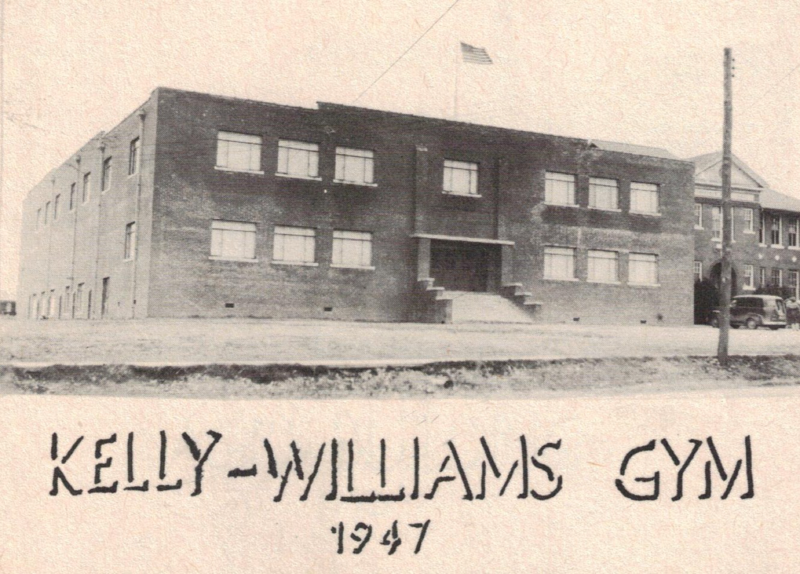 At the time it was built in 1947, the Kelly-Williams Gym was the most modern school gym in Arkansas. According to longtime Sheridan resident, Jim Lancaster, the basketball court's beautiful hardwood oak floor made the building special. He remembers the gym attracting state tournaments to the small town of Sheridan after it was built. The flooring came from the Williams Sawmill, a local oak flooring business, which provided significant employment for the community during that time. Students were prohibited from walking on the basketball court unless they had on gym shoes. "This was to protect the finish from wear and damage," Lancaster said. After hosting many exciting ballgames and sock hops, it survived until the 1990’s when demolished by prison labor.